Music City pizza-lovers need not worry. 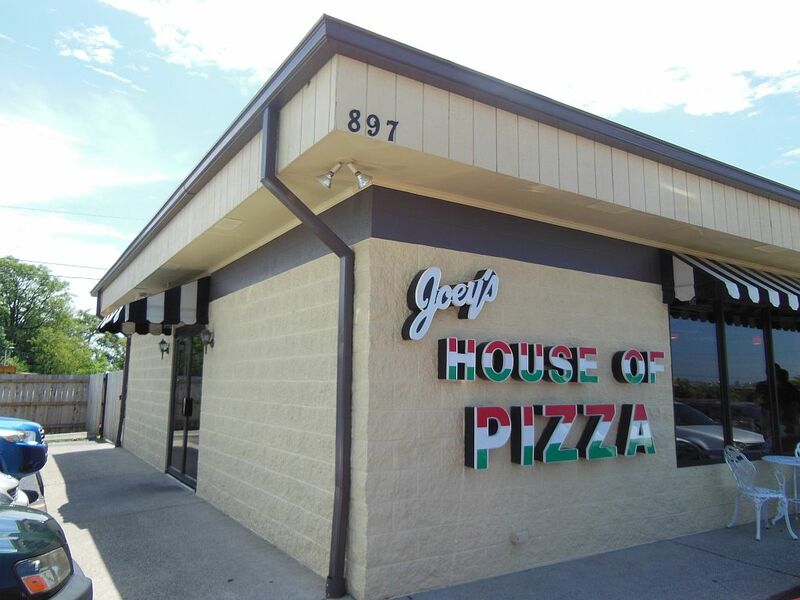 Joey’s House of Pizza is not losing its five-slice rating. The Pizza Snob just wanted to gloat and boast about how his home town has one of the best pizza joints in the USA. It seems that as of late I visit Joey’s on a regular basis, and my waistline is starting to show it. My weekly trips there have allowed me to introduce many friends and associates to the place. 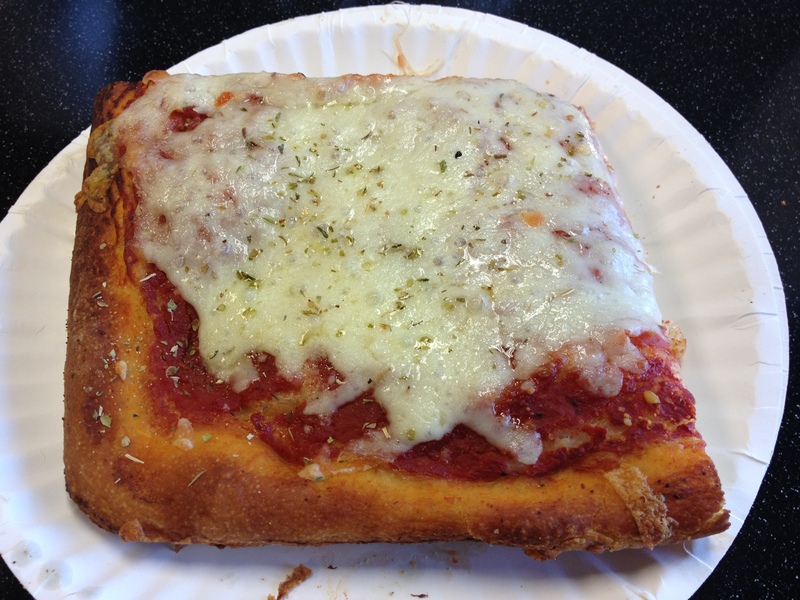 In turn, Joey’s daughter Stefany has introduced me to some of their wonderful specialty slices. 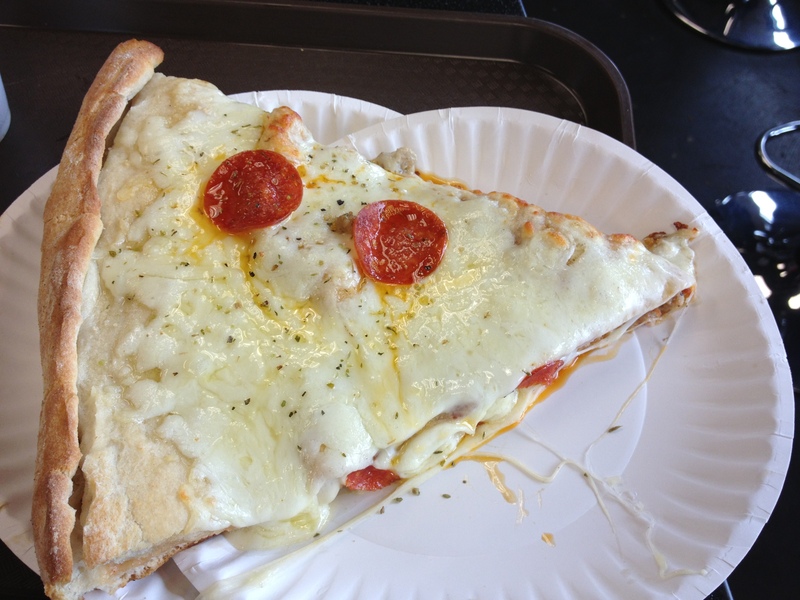 Joey’s specialty slices rotate a bit, and I usually find myself tempted to add one alongside my regular lunch order of two cheese slices and their “melt-in your mouth” chicken parm. Here are some of the recent ones I’ve tried. 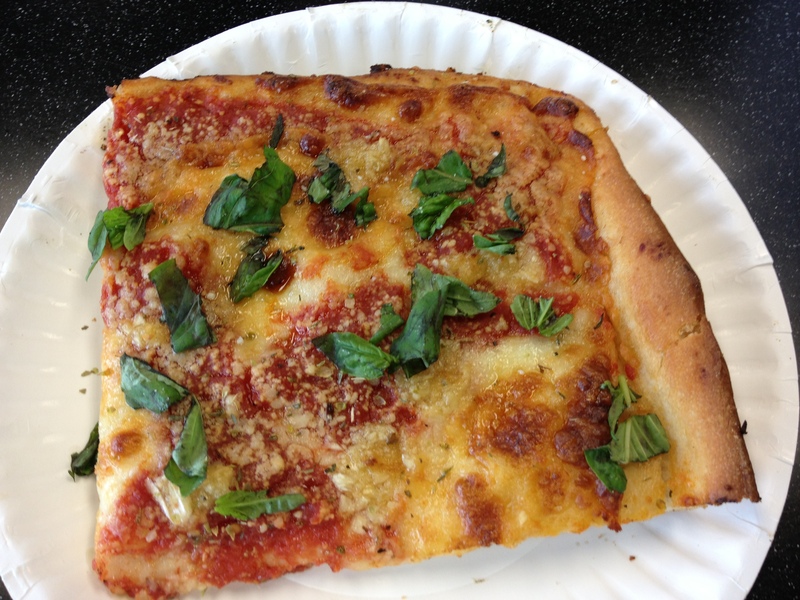 Much known and loved in the New York area, and sometimes referred to as the “square,” the Sicilian puts the usual ingredients together a little differently. It addition to its shape, it is a half-inch thick with a light fluffy dough in between a crisp bottom and a cheesier base that sits atop the tomato sauce. It’s a real treat and the Snob recommends getting an end piece to enjoy the crispy end crusts. This name has been used in a number of different ways but Joey’s version is the classic one. Cut like a Sicilian, the Grandma is crispier, and employs the ingredients of the traditional Margarita slice: a sparse use of cheese and tomato sauce, delicate seasoning and a topping of freshly-cut basil leaves. It’s a nice, lighter alternative to the Sicilian. This Joey’s creation is not for the timid. I have seen the Gladiator bring down many a good man and wipe out an entire afternoon of work due to its nap-inducing ability! It is a double-crusted wonder covered heavily with mozzarella cheese and deliciously stuffed with both pepperoni and sausage—a carnivore’s delight. Remember, I warned you. Another Joey’s invention, the Doctore won a special mention in the 2012 Nashville Scene Food and Drink Writer’s Choice awards. Just looking at this work of art will make your mouth water. It is absolutely delicious, and a gourmet pizza lover’s delight. 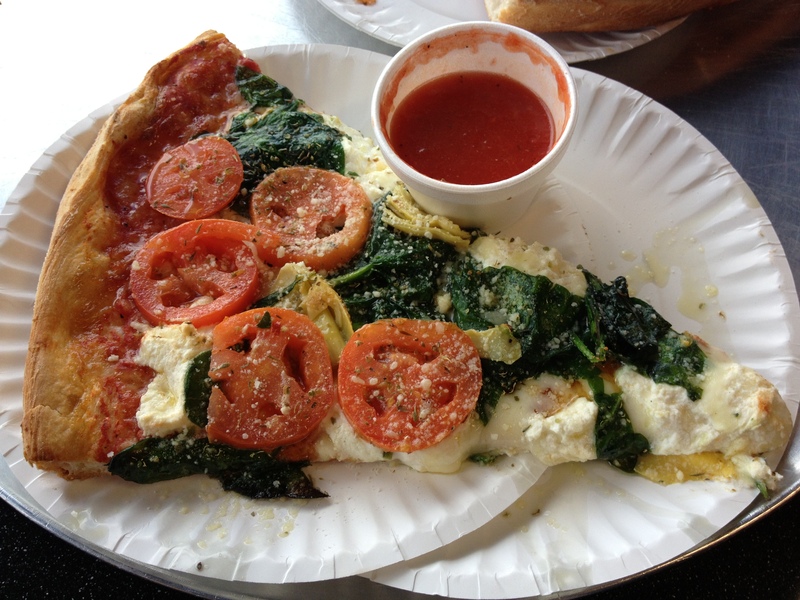 The fresh sliced tomatoes and sautéed spinach layering over the massive glob of yummy ricotta cheese is indescribably delightful. There are still a few more special slices at Joey’s that I haven’t tried, and I look forward to eventually tasting every one of them. The waiting lines at Joey’s may be long, and the weekday lunchtime-only hours restrictive, but do yourself a favor and get over to Joey’s if you haven’t yet.